Better than Microsoft's Sticky Notes. Great stuff. 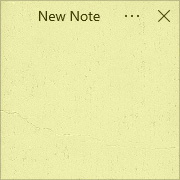 Best notes app with alarms, customized settings, fonts, formats and themes. Top of my list for setting up things to do, right on my desktop.